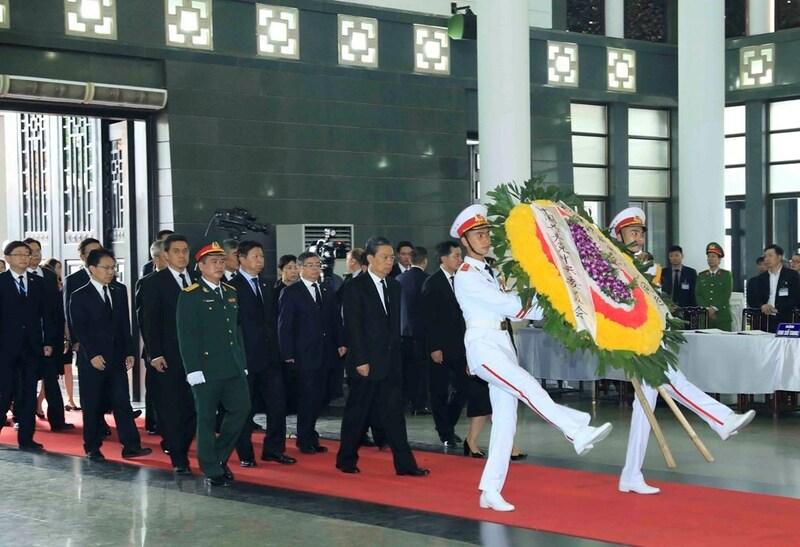 Some 1,500 domestic and international delegations with approximately 50,000 people had paid tribute to President Tran Dai Quang by 17:00 on September 26. 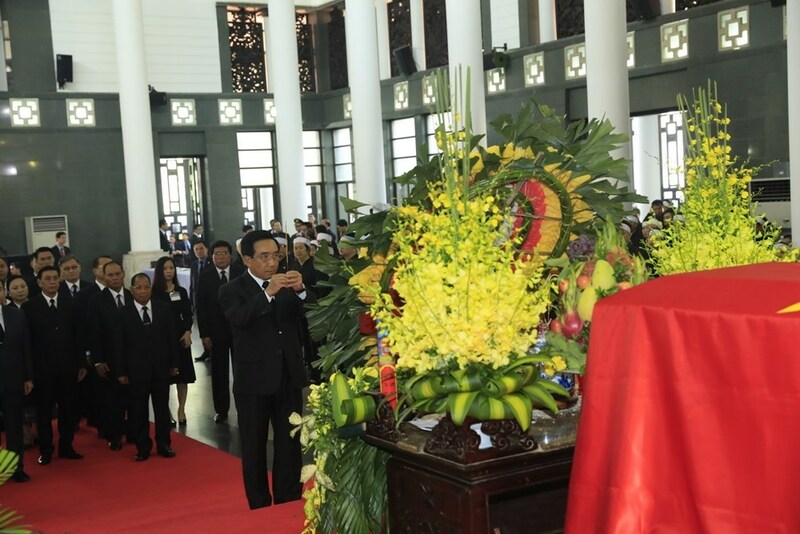 Some 1,500 domestic and international delegations with approximately 50,000 people had paid tribute to President Tran Dai Quang by 17:00 on September 26, according to the national funeral organising board. The foreign delegations included those from Laos led by Vice President Phankham Viphavanh; from Cambodia led by Prime Minister Hun Sen; from China led by Secretary of the Central Commission for Discipline Inspection of the Communist Party of China Zhao Leji; from Cuba led by Vice President of the Council of State and Council of Ministers Roberto Morales Ojeda; from Russia led by Deputy Chairwoman of the State Duma of Russia Epifanova Olga Nikolaevna; from the Republic of Korea led by Prime Minister Lee Nak-yon and from Singapore led by Deputy Prime Minister and Coordinating Minister for National Security Teo Chee Hean. 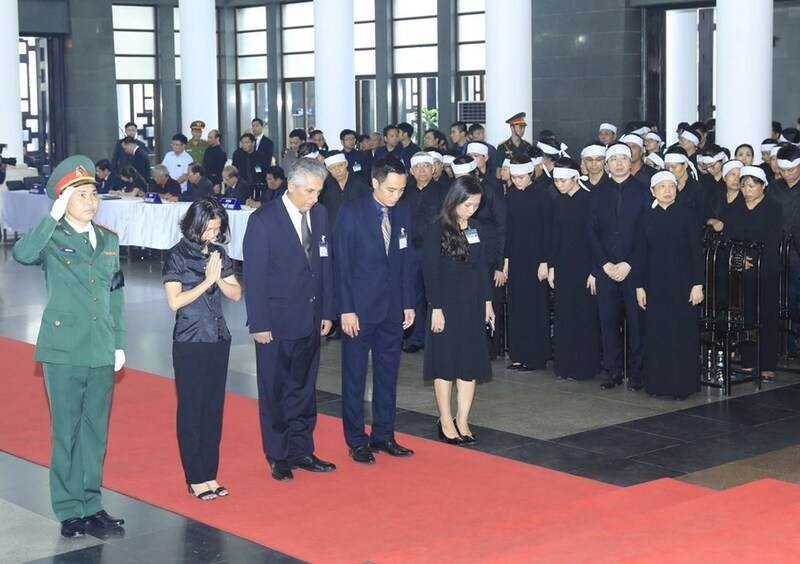 Most of the delegations paid respect to President Tran Dai Quang at the National Funeral Hall, No. 5 Tran Thanh Tong, Hanoi. 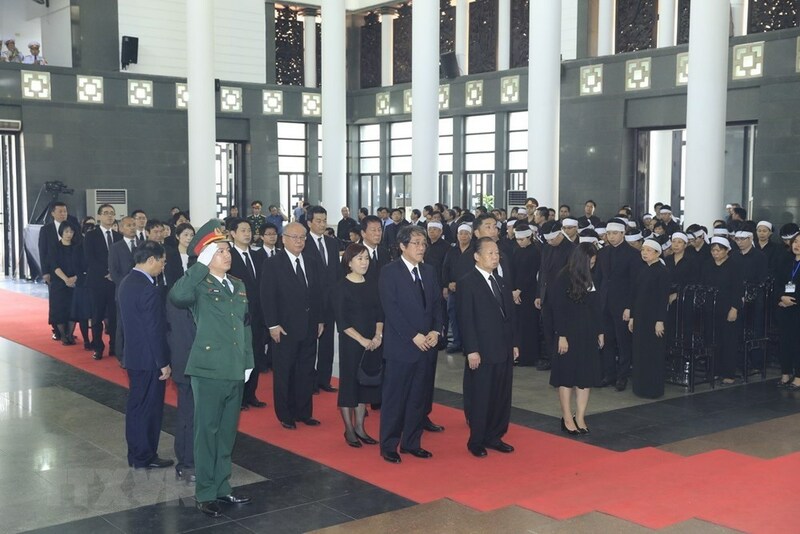 Meanwhile, around 430 delegations from domestic agencies, localities, diplomatic agencies and international friends paid homage to the President at the Thong Nhat Hall in Ho Chi Minh City, and more than 200 delegations paid tribute to him in his hometown Quang Thien commune, Kim Son district, Ninh Binh province. 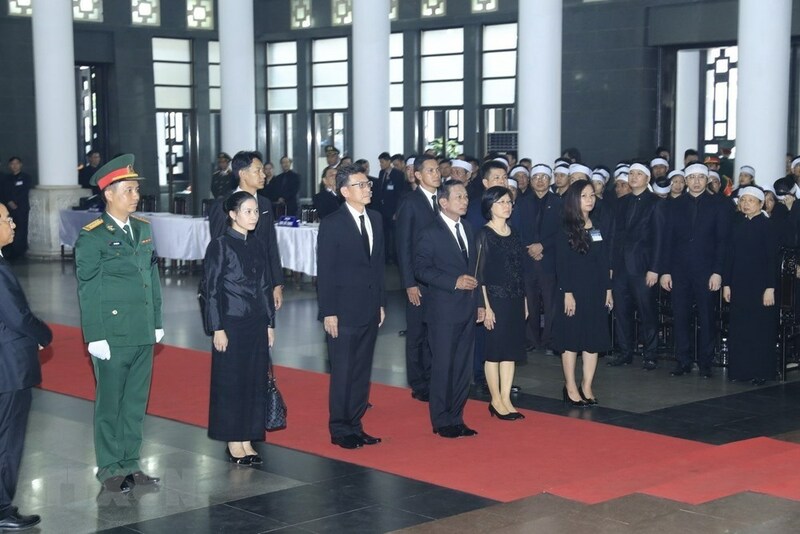 The mourners included Lao Vice President Phankham Viphavanh, Cambodian Prime Minister Samdech Hunsen, Vice President of Cuba’s Council of State and Council of Ministers Roberto Morales Ojeda, and Deputy Chairwoman of the State Duma of Russia Epifanova Olga Nikolaevna led the delegations to the ceremony. A delegation from Japan was led by Secretary-General of the Liberal Democratic Party of Japan Toshihiro Nika. Japanese Emperor Akihito and Empress Michiko also sent a wreath to the funeral. Prime Minister Lee Nak Yeon led a delegation from the Republic of Korea, while Deputy Prime Minister and Coordinating Minister for National Security Teo Chee Hean headed a delegation from Singapore. Joining the line of delegations were delegates from the World Federation of Trade Union led by General Secretary George Mavrikos, and from Mozambique led by former President Armando Emilio Guebuza. 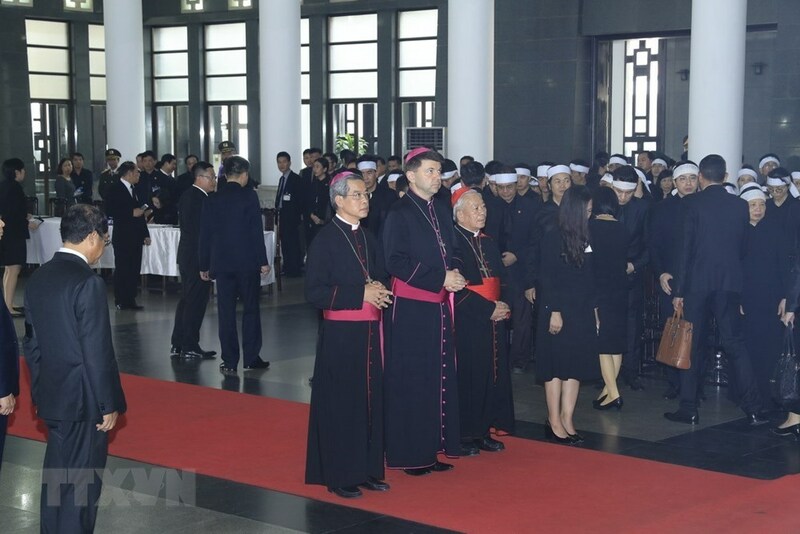 Archbishop Marek Zalewski, Non-residential Pontifical Representative to Vietnam, and Cardinal Nguyen Van Nhon also led delegations of the Vatican and the Catholic Bishops’ Conference of Vietnam, respectively, to pay homage to President Quang. 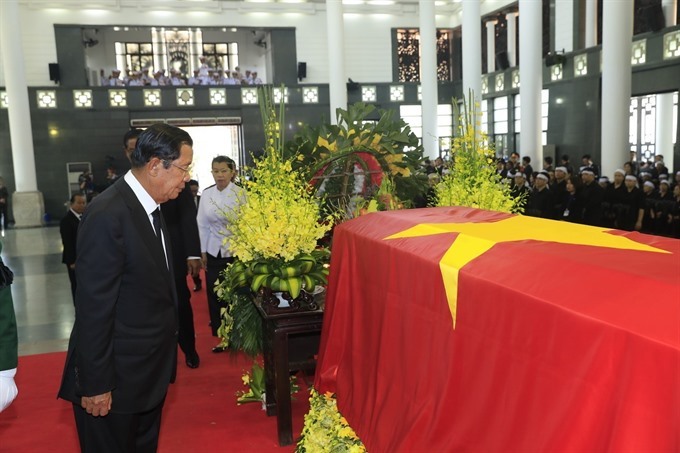 The State funeral for the President began at 7am on September 26 at the National Funeral Hall, No.5 Tran Thanh Tong, Hanoi. The memorial service will be held at 7:30am on September 27 at the National Funeral Hall. 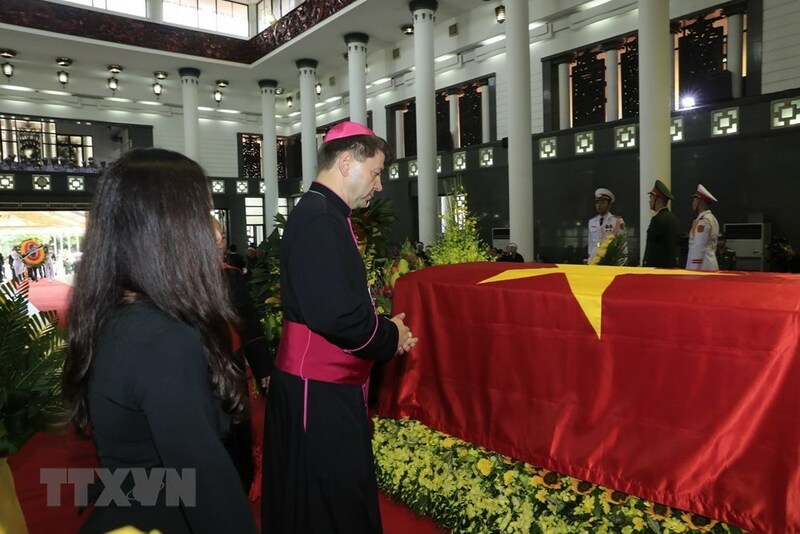 The burial ceremony will take place from 3:30pm on the same day in the President's native land in Quang Thien commune, Kim Son district, Ninh Binh province. 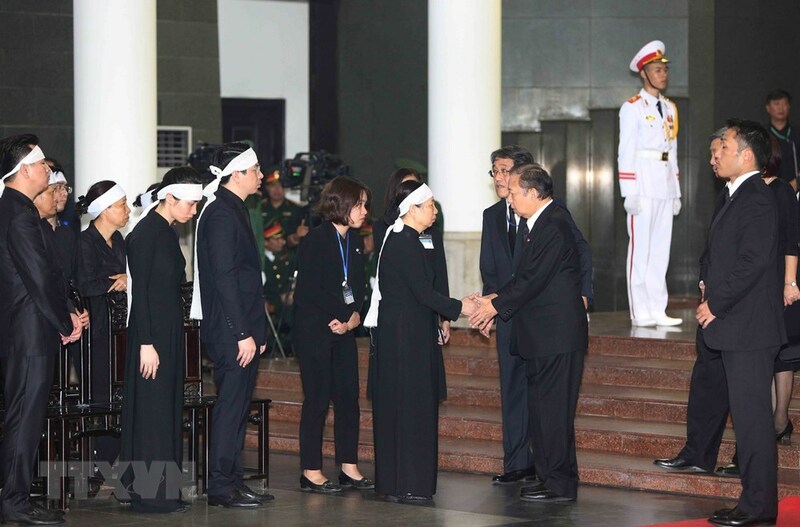 Respect-paying and memorial ceremonies for President Tran Dai Quang are also being held at the Thong Nhat Hall in Ho Chi Minh City and the Hall of the People’s Committee of Kim Son district, Ninh Binh province, the home province of the President. 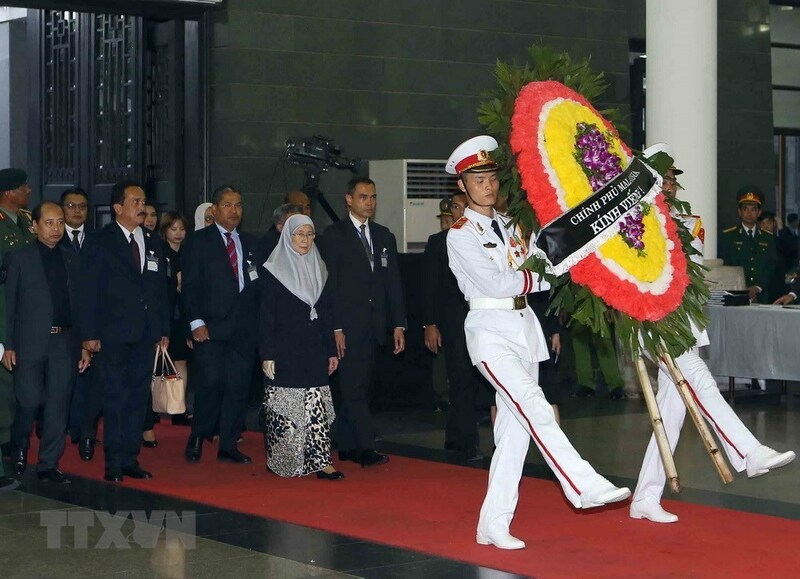 The nation is observing a two-day national mourning on September 26 and 27. 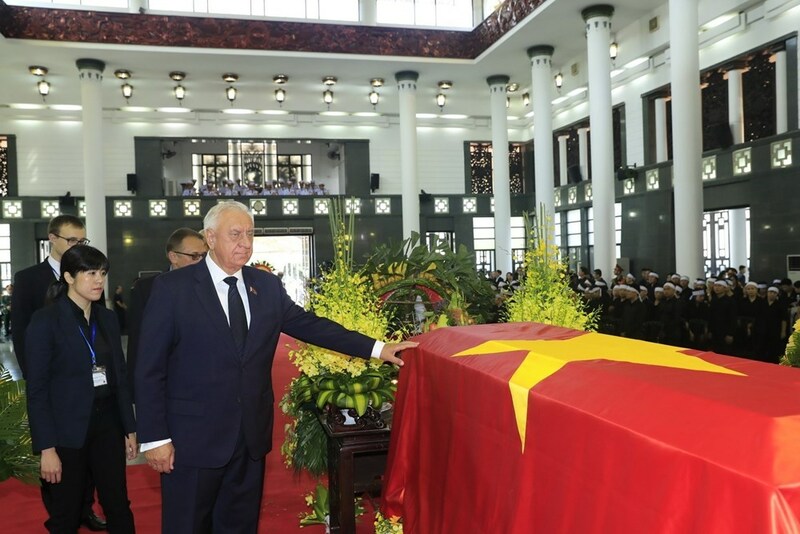 The State funeral for Tran Dai Quang, Politburo member and President of the Socialist Republic of Viet Nam, was held by the Party Central Committee, National Assembly, State President Office, Government and Viet Nam Fatherland Front Central Committee. President Tran Dai Quang is lying in state at the National Funeral Hall, No 5 Tran Thanh Tong Street, Hanoi. The ceremony started at 7am and will ends at 7am on Thursday. 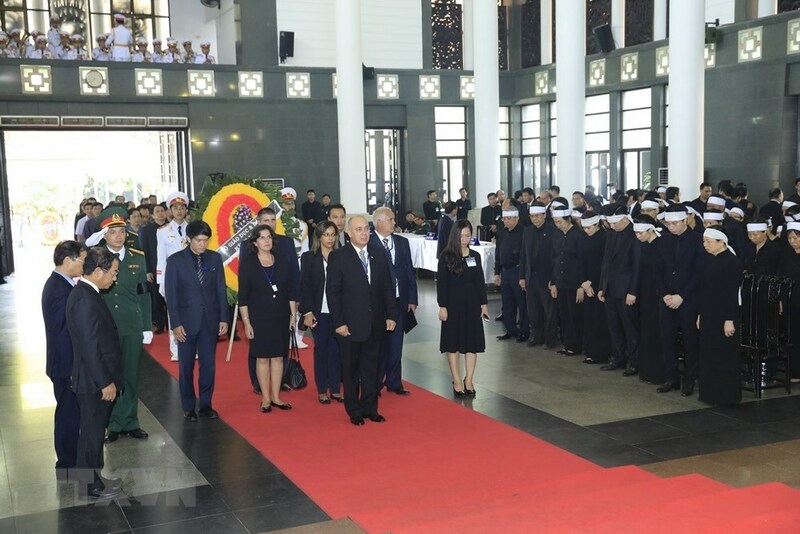 At the same time, ceremonies also took place at the Thong Nhat Hall in HCM City, and in Village 13, Quang Thien Commune, Kim Son District, Ninh Bình Province, the late president’s home town. 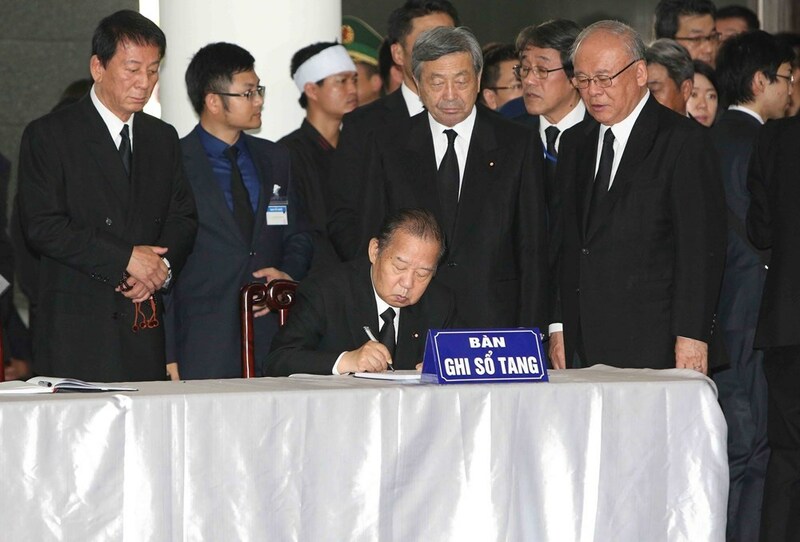 President Tran Dai Quang passed away at 10:05am on September 21 in Hanoidue to serious illness at the age of 62. Leaders of countries, parties, and organisations continued sending letters of condolences to Vietnam over the death of President Tran Dai Quang. President Tran Dai Quang passed away at 10:05am on September 21 in Hanoi at the age of 62 due to serious illness. 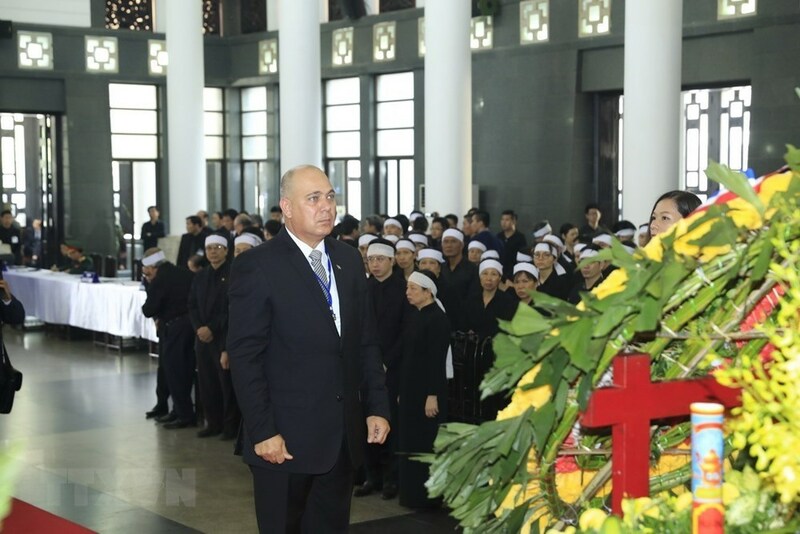 On September 24, the Special Envoy of Cambodian King Norodom Sihamoni visited the Vietnamese Embassy in Phnom Penh to convey the King’s letter of condolences to General Secretary of the Communist Party of Vietnam (CPV) Nguyen Phu Trong. In the letter, the King affirmed that the passing of President Tran Dai Quang is “a loss of a prominent and valuable leader of the Vietnamese nation and people, who had made positive contributions to the construction and development of the Socialist Republic of Vietnam”. “The Queen Mother, Cambodian people and I would like to extend our sympathy to the family of the President and the fraternal Vietnamese nation and people,” he wrote. Indonesian President Joko Widodo sent a letter of condolences to Acting President Dang Thi Ngoc Thinh. 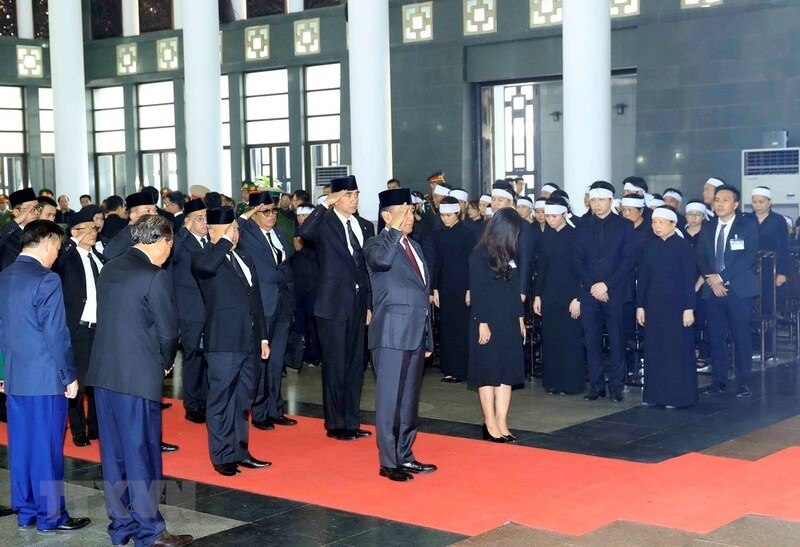 In his letter, he expressed his regret not to be able to go to Vietnam to attend the funeral of the President, adding that he had assigned the Coordinating Minister for Political, Legal, and Security Affairs to be his Special Envoy to pay tribute to the Vietnamese State leader on his behalf. 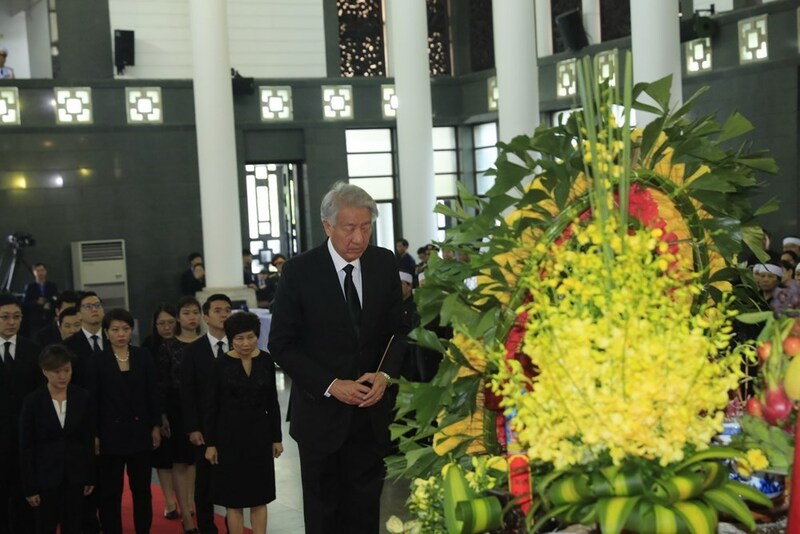 Japanese Emperor Akihito also cabled his condolence to Acting President Dang Thi Ngoc Thinh. Leaders of many countries sent their sympathies to leaders of the CPV, the State and people of Vietnam, including Algeria’s President Abdelaziz Bouteflika, Ethiopia’s President Mulatu Teshome, Sri Lanka’s President Maithripala Sirisena and Prime Minister Ranil Wickremesinghe, Saudi Arabia’s King Bin Abdulaziz Al Saud and Crown Prince Mohammad bin Salman bin Abdulaziz Al Saud, Israel’s President Reuven Rivlin, Guinea-Bissau’s President José Mario Vaz, Palestine’s President Mahmoud Abbas and Prime Minister Rami Hamdallah, and Chairman of the Standing Committee of the Supreme People’s Assembly of the Democratic People’s Republic of Korea Kim Young Nam. Leaders of the Communist Party of India’s National Council S.Sudhakar Reddy, General Secretary of the Communist Party of Chile Lautaro Carmona Soto and the party’s President Guillermo Teillier del Valle, General Secretary of the New Communist Party of Yugoslavia (NKPJ) Aleksandar Banjanac, and Peruvian Foreign Minister Néstor Popolizio Bardales also cabled messages of sympathies to the Vietnamese Party, State and people and the family of President Tran Dai Quang. The overseas Vietnamese association in Udon Thani province of Thailand and the Annam Buddhist Sangha in Thailand also sent letters of condolences to the Party, Government and people. The respect-paying ceremony for President Tran Dai Quang will start at 7am on September 26 at the National Funeral Hall on 5 Tran Thanh Tong Street, Hanoi. The memorial service will be held at 7:30am on September 27 at the National Funeral Hall. The burial ceremony will take place from 3:30pm on the same day in the President’s hometown in Quang Thien commune, Kim Son district, Ninh Binh province. Cambodian Prime Minister Samdech Hun Sen pays tribute to late President Tran Dai Quang. 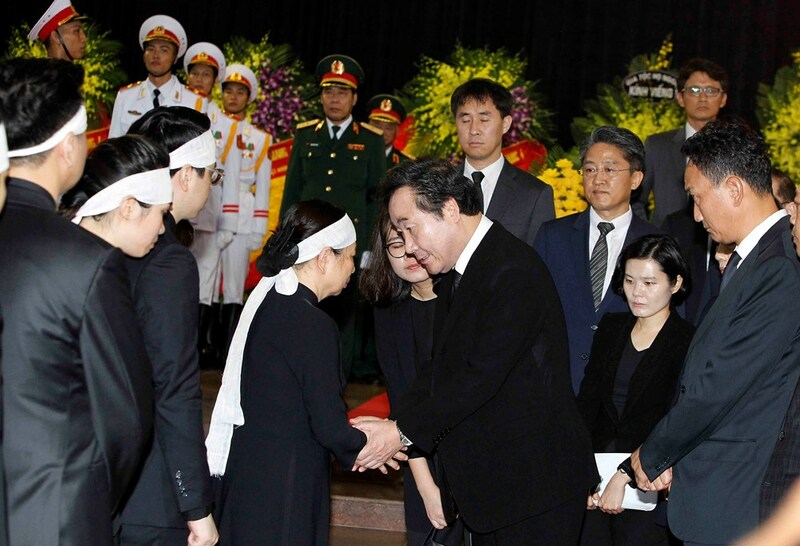 Prime Minister of the Republic of Korea Lee Nak-yeon expresses his condolences with President Tran Dai Quang's family. Singaporean Deputy Prime Minister Teo Chee Hean heads a delegation to the ceremony. 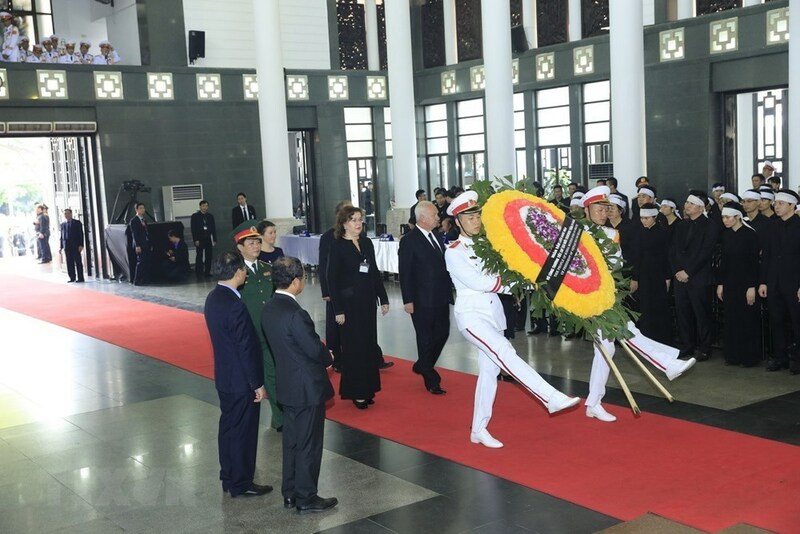 Chairman of the Council of the Republic of Belarus Mikhail Myasnikovich pays respect to President Tran Dai Quang. 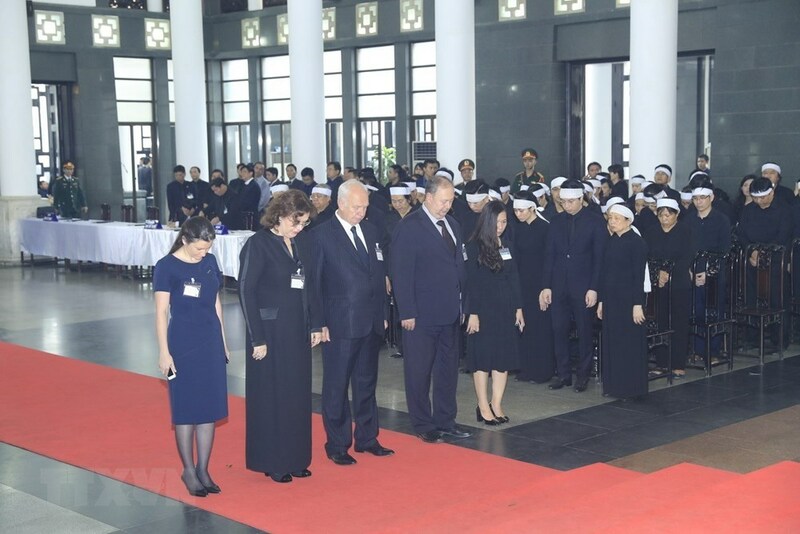 The Lao delegation to the ceremony is headed by Vice President Phankham Viphavanh. A delegation of the World Federation of Trade Union led by General Secretary George Mavrikos at the ceremony.